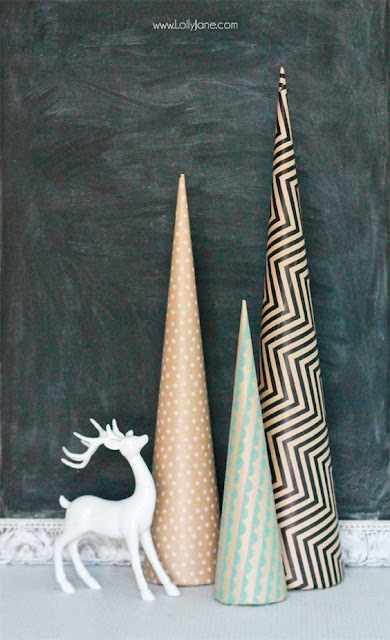 I am really getting into these themed Christmas favourite posts! I never intended to do this, but I am rolling with it now because I love when everything goes together and matches! 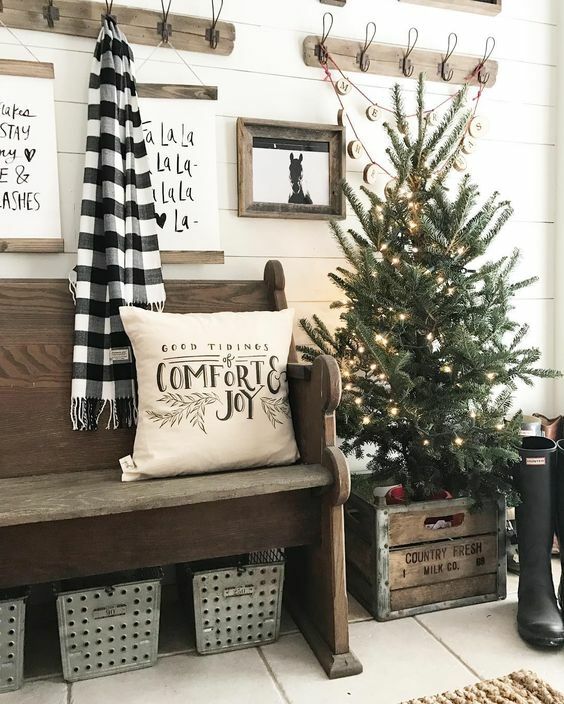 I love rustic Christmas decor, it reminds me of what a traditional old school Christmas would have been like and the natural charm. 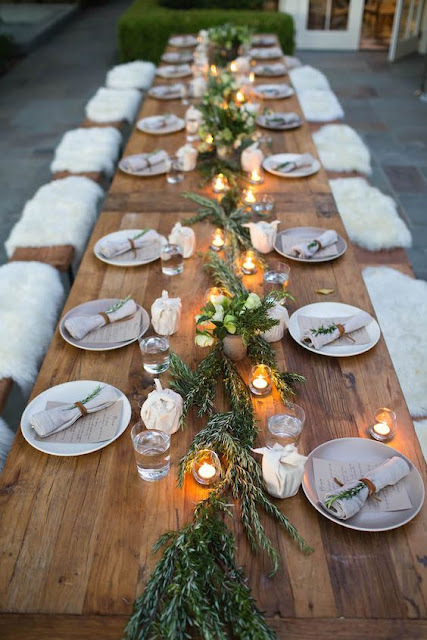 I love when table setting decor is very natural and simple, the main colour is green, and I think it looks beautiful! This would be a very simple Christmas table setting, just table extra greenery and lay it down the centre, and put lots of tea lights, as well as wrapping the napkins up with twine and adding a little piece of greenery to it. I really love this little mini tree, and the way it is styled in the country farm wooden box, I think it is a different take on having a Christmas tree skirt. It also looks really nice will all of the other woods in the bench, the hooks and the frames. 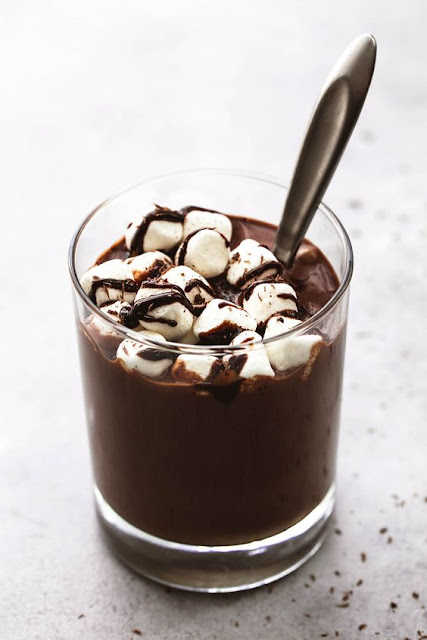 I have never had something like this, but I imagine it would be something like a pudding with marshmallows?! I think that sounds like an amazing idea! These are such a simple idea and I see them all over the place! This particular DIY is just done with wrapping paper, and is really inexpensive, so you can recycle them and make new ones each year. 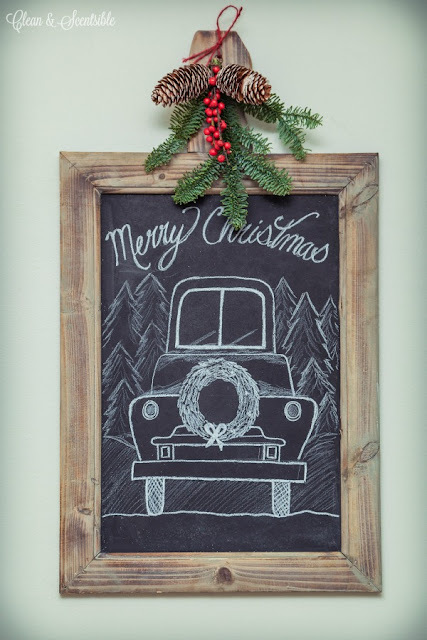 I really love all of these chalkboard ideas for Christmas - we had one last year and I am missing it since we have moved! 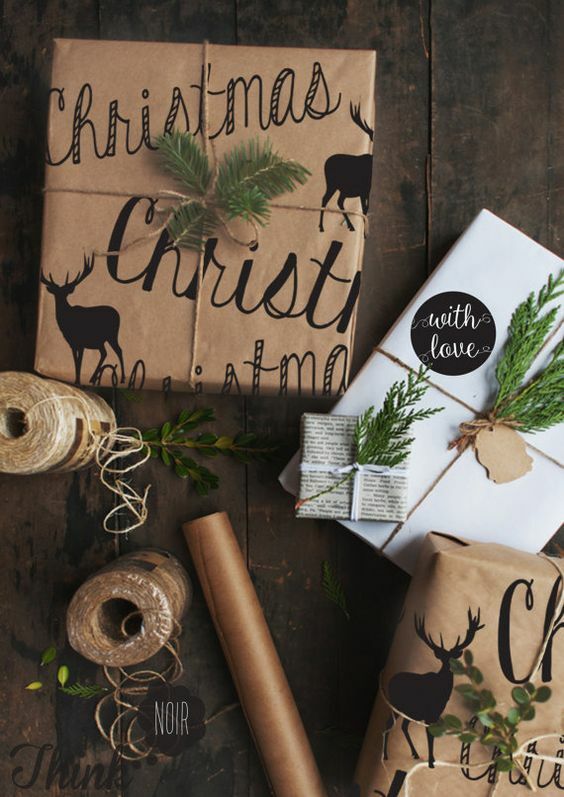 I love the brown paper packaging with designs drawn onto it, and the twine string with greenery! I think it looks homemade and thoughtful!